Quality Motorised dishes and motor units from the Satellite Superstore. Triax, Raven, Primesat, Channel Master and Transparent motorised dishes. From 70cm to 3.0m motorised dishes. Technomate TM2300 and TM2600 Diseqc motors. Motorised satellite dishes. 85cm motorised satellite dishes. 1.0m motorised satellite dishes. 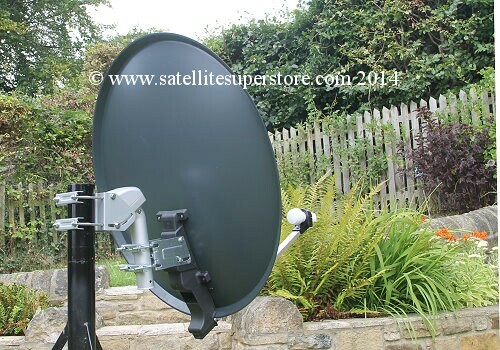 Transparent motorised satellite dishes with Diseqc motors,UK. Inclined orbit motorised satellite dishes - Primesat 1.4m. Primesat 1.8m. Raven 1.8m. Primesat 2.3m / 3.1m Menu page. High quality high gain "Easy Fit" dish. The first time we assembled this (fixed) dish it took less than 60 seconds (setting up the motor takes longer). The first time we assembled this dish it took less than 60 seconds. It would be even faster if we had done it before. dish to the metal back plate clamps and 2 nuts provide adjustment. The push fit LNB support arm takes one seconds to locate. winds and prevents turning on the pole. This dish will clamp to poles from 25-50mm diameter. Gain 39.1dB. A high quality product. Very good value considering the higher grade materials used and the superb performance. The new Primesat PR3600B motor is included. 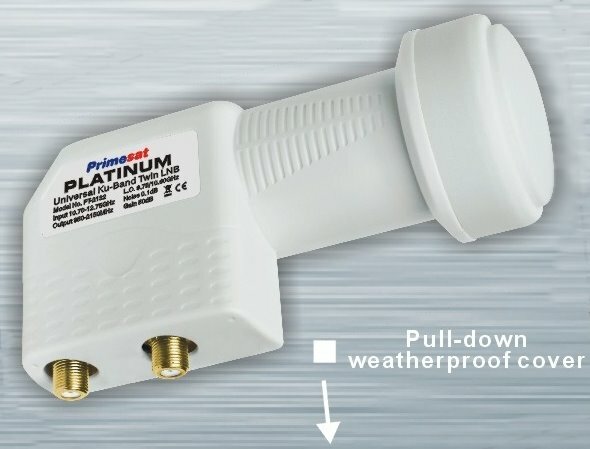 An optional single Primesat Platinum high performance 0.1dB LNB from "Primesat Professional Products" is available. wall mounts and ground stands page. The motor requires a 50-76mm diameter pole. Also see the special offer wall mounts . For "UK offshore islands including Northern Ireland by courier" systems up to 1.0m choose the �15 - UK shipping option No 2.
dish to be less noticeable. The new Primesat PR3600B motor is included. Primesat clear 85cm motorised dish with Technomate motor and 0.1dB Primesat Platinum LNB. wall mounts and ground stands page. This dish requires a 50mm diameter pole. Also see the special offer wall mounts . 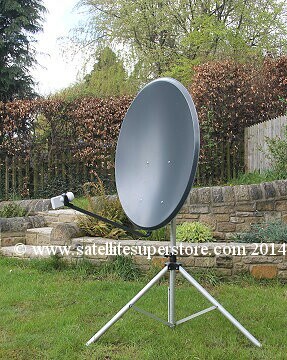 Triax 90cm Diseqc motorised dish kit. 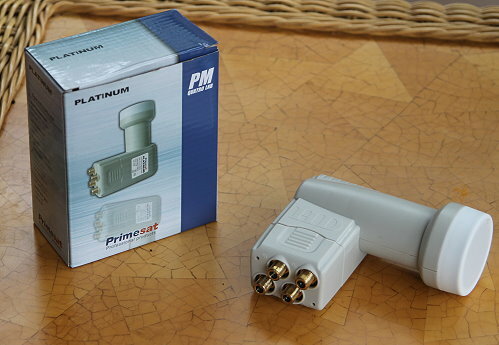 and 0.1dB Primesat Platinum LNB. Quality brandname "Triax" easy to set up 90cm dish. The reliable Technomate TM2600 motor is included. The new Primesat PR3600B motor is included. 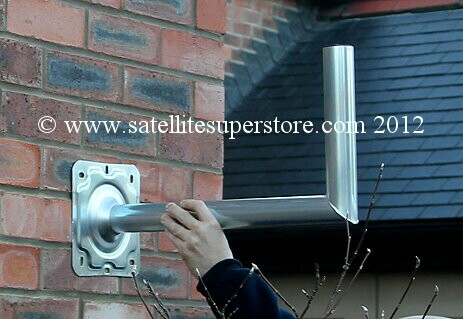 The 1.1m dish is ideal for many satellites when used in the UK. wall mounts and ground stands page. This dish requires a pole of 50mm diameter. Also see the special offer wall mount . 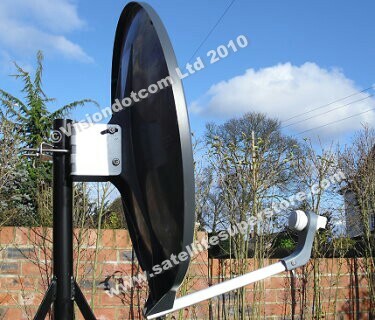 Primesat 1.0m motorised dish kit. 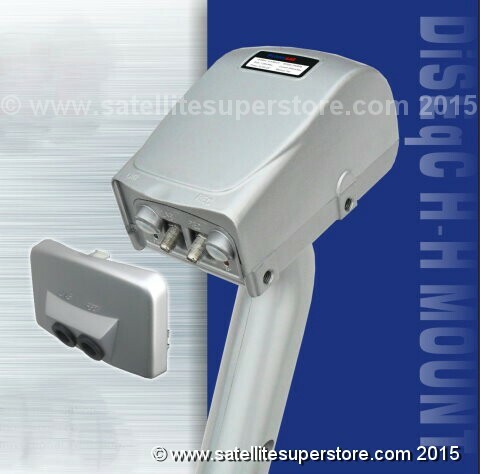 Primesat 1.0m motorised dish with Primesat PR3600B motor & 0.1dB Primesat LNB. New product. High Quality. High Gain. Aluminium. Easy adjust. 12.75GHhz and the coating is Polyester RAL7035 powder coating. 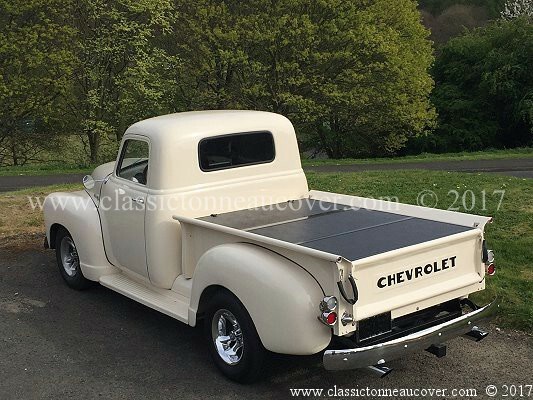 It is available in very dark grey (almost black). from 35mm to 60mm diameter. 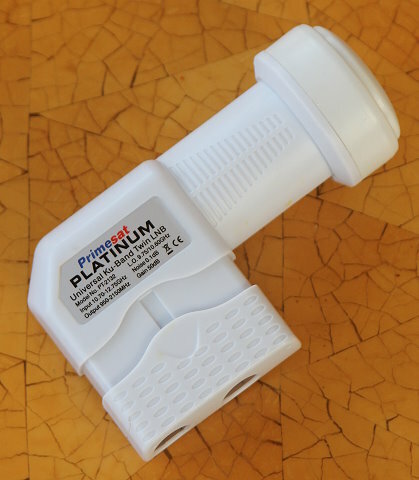 The new Primesat PR3600B motor is included. The Technomate 2600 motor with metal gears is a reliable motor. 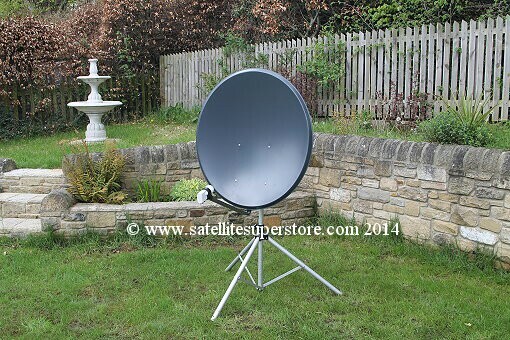 The 1.1m dish is ideal for many satellites when used in the UK. 1.0m Primesat motorised dish. Primesat PR3600B motor and Primesat LNB. 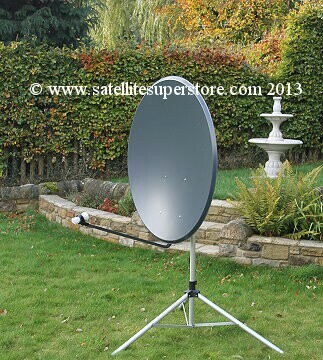 Primesat 1.1m aluminium motorised dish. Low cost, high quality, high gain. Please note the dish is now light grey. of either 50mm or 76mm diameter. 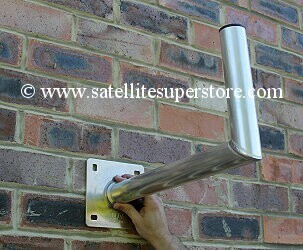 Also see the special offer wall mount for 1.1m dishes. Click here to see a special offer, discounted wall mount or check out other wall mounts and ground stands. 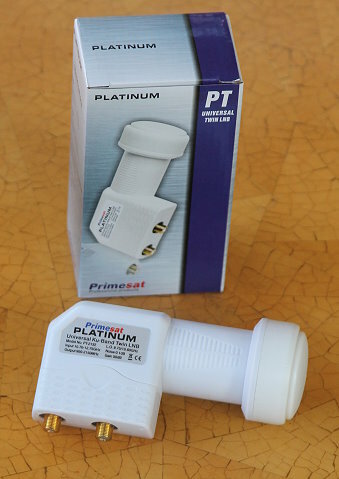 and Primesat Platinum 0.1dB LNB. Available in black or cream. The small heavy duty motorised dish. This is the smallest dish we would recommend for motorised use but it is a high performing high gain dish. dish cannot corrode and the mount on the back uses a much heavier gauge zinc plated steel. This is a very high quality dish kit. is included. The Triax sticker can be peeled off if preferred. Quality brandname "Triax" heavy duty range. Ideal for high wind and high salt areas. motor and Primesat Platinum 0.1dB LNB. Available in black or cream. dish cannot corrode and the mount on the back uses a much heavier gauge zink plated steel. This is a very high quality dish kit. wall mounts and ground stands page. This dish requires a pole of 50mm diameter. Also see the special offer wall mounts . Discontinued, but you could paint the cream 90cm below. 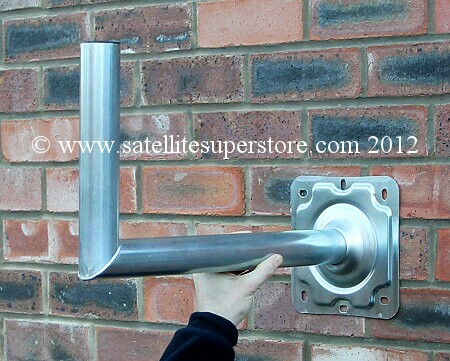 50mm Diameter Pole South facing wall mount (Large Elbow). This mount is not manufactured by Satellite Superstore (the heavy duty mounts are) but it is one of the best mounts we have seen. for most situations. 50mm (2") dia. mast. 480mm stand-off. Suitable for dishes up to 1.3m. 6 bolt fixing. Dish kit or system option. Large Elbow 1DL. 6 bolt fixing. 48cm stand off. System option Only. Elbow 1D. Ideal for dishes up to 85cm. 4 bolt fixing. 50mm pole diameter. 43cm stand off. System or dish kit option only. To order separately, order from the wall mounts and ground stands page. System option Only. Standard wall mount 1D. 50mm pole dia. with 4 bolt fixing. System option Only. 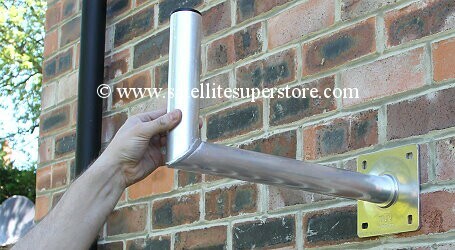 50mm dipped galvanised mount. Ideal for dishes up to 70cm. 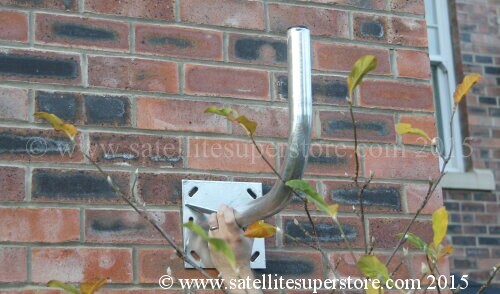 340mm stand off south facing wall mount. 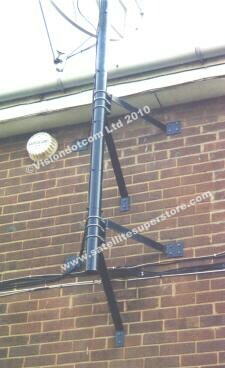 This mount is "dipped galvanised" and is designed for high salt areas. 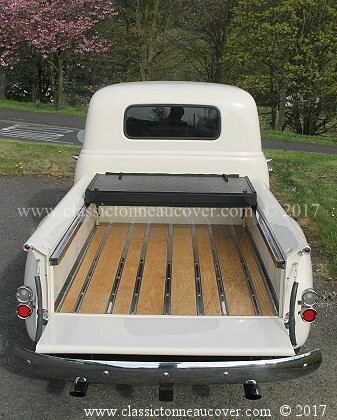 It uses heavy gauge steel and is galvanised which is the best method available for a thick coating. Ideal for dishes up to 70cm. Also fine for 80cm dishes where the wall is mainly south facing. With a stand off of only 340mm it is not ideal for 80cm dishes or larger on south eastern or south western. walls as the dish would not have the clearance to point up or down the street. 4 bolt fixing. 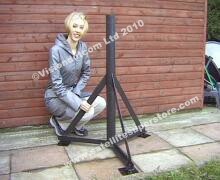 50mm pole, 340mm stand off dipped galvanised mount. receivers on one fixed dish. Using a twin LNB, a signal can also be provided to 2 single tuner receivers. 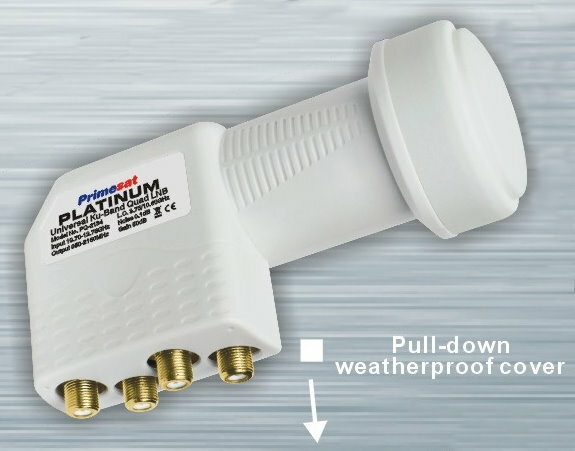 A High Performance Primesat Platinum LNB. 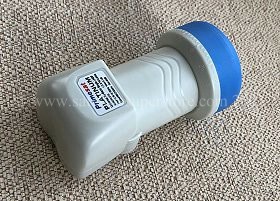 This is a twin Primesat Platinum high performance 0.1dB LNB from "Primesat Professional Products". instead of the LNB with my system. tuner receiver and 2 single tuner receivers. 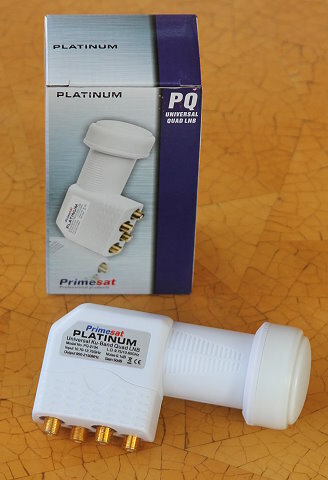 This is a quad Primesat Platinum high performance 0.1dB LNB from "Primesat Professional Products". 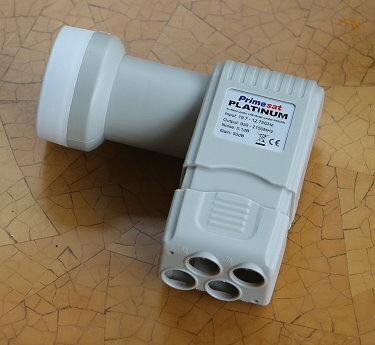 Upgrade the single LNB to a Primesat 0.1dB Platinum Quatro LNB. A high performance 0.1dB LNB. This LNB is ideal for low signal areas. Suitable for HD. Suitable for 3D. Suitable for 4K. Do not mix up quatro LNBs with quad LNBs. Quatro LNBs are ONLY for use with multiswitches. instead of the single LNB with my system. 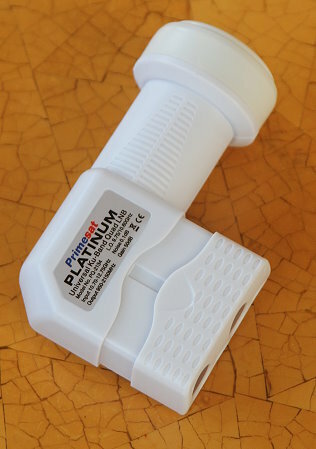 This is an octo Primesat Platinum high performance 0.1dB LNB from "Primesat Professional Products". wall / ground stand page. Please not that dish sizes vary. approximation and should not be taken as an exact dimension. The poles are galvanised. the stand off distance is from the wall is to the inside of the pole. wall mounts & ground stands page or a ground stand if applicable. Long pole wall mount 1. Stand off - 300mm. 2m galvanised pole. Long pole wall mount 2. Stand off - 500mm. 2m galvanised pole. Long pole wall mount 3. Stand off - 300mm. 1m galvanised pole. Long pole wall mount 4. Stand off - 500mm. 1m galvanised pole.